In my blog on 25th January I talked about a new network that we have been invited to be a founding member of. At our services on 20th January and in that blog I explained a bit about how that invitation had come and the vision for it. We asked people to be thinking and praying about it ahead of our Church Meeting on Thursday 28th February when we shall be making a decision about whether or not to be a part of it. We also said that if anyone had any questions or concerns that they should contact me about it. We have been really pleased that a few people have asked some questions about it and we thought it would be good to share some of those questions here in this blog together with the answers I was able to give. We are aware that the answers may be helpful as we seek to prayerfully discern what God is calling us to do. This blog is designed to be a follow on from the previous blog and will try not to repeat information from that blog so please do make sure you have read that first one before you read this one! We have since recorded the answers to the questions as a video that you can watch by clicking the image below. Question: How did we get to be invited to participate? It might be useful to go back to where this all started. I (Chris Porter) am a Trustee of an organisation called ‘Lead Academy’ that run learning communities for church leadership teams. A few years ago several of us from the Lead Academy board of Trustees attended the Drive conference hosted by North Point Community Church in Atlanta. We all found the conference inspiring and really helpful and as a result Lead Academy invited one of the senior leaders at North Point (a guy called Lane Jones) to come and spend some time at one of our Learning Communities. To cut a long story short, Lead Academy then co-hosted a conference with Finchampstead Baptist Church 18 months ago at which four members of the North Point team came to participate. The conference was called Further Faster UK and over 200 church leaders from across the UK attended. Several people from ABC also attended including some of our Elders and Leaders. Out of that conference several UK churches started some informal conversations about how those principles could be shared and implemented in a UK context. That group approached North Point to see if they would be prepared to help and they agreed to do so. The ‘agenda’ for this new network is very UK and Ireland focused, the progress has been driven by the UK churches and not by North Point and the North Point team have been incredibly kind and humble in their approach and their support. One of the things we really like about them is that they are not forcing anything on anyone, they recognise that the US context is very different from the UK one and they are just keen to help. Question: Who are the other churches who have been involved in those conversations about the network? Finchampstead Baptist Church, The Forge Church in Suffolk, Life Church Central in Birmingham, Lighthouse Church in Ireland and ourselves have been involved in those conversations and throughout the discussions I have kept our Elders and Leaders at ABC up to date. Question: Isn’t this just an American thing, how does it translate to our context? It is really important to be clear. This is not an American thing. It is being driven from the UK by these UK churches. The network will be a UK network. We have approached the folks from North Point for help and partnership because we value what they are doing and because of the principles that they are passionate about. It is not about importing a US model or US culture. In fact one of the things that we love about North Point is that they understand they are in a different context and are keen just to help us as we seek to live out these shared values in a different culture. Question: What are those values? The desire to lead people into a growing relationship with Jesus. Creating and operating churches that are trying to be places that attract and engage unchurched people. A commitment to focusing on reaching people with the good news of Jesus. Creating irresistible environments that connect people to God and to community. Creating relevant and engaging worship services. Intentionally helping people get into good small groups. Prioritising children’s and youth ministry. These priorities are unpacked a little bit more in a document about the network that is available on request from the church office. Question: Will North Point Community Church just be telling us what to do? No! North Point will be helping by sharing things that they have learnt on their journey and will be available for coaching and guidance but they completely understand that the UK context is different to the US context. They will make a huge amount of resources available to us to use if we want to and find them helpful. They will participate in peer-to-peer coaching groups with different types of ministry leaders in the UK churches. They will be passionate about encouraging us to move forward with the principles shared above but the way we do that will be down to us. It is about principles not about importing a model of how to do things. Question: If we decide to join we will be asked to contribute financially, where will that money go and how will it be used? If we join the network all of the money that we will contribute will go to the UK network which is being set up as a UK registered charity. None of the money will go to North Point and nor do they want it to. In fact as I said in my previous blog North Point are contributing very generously to the UK network to help get it established. The UK charity will be led by a board of Trustees. Each church will be asked to nominate a Trustee who will sit on that board. That board will decide how the money will be spent. 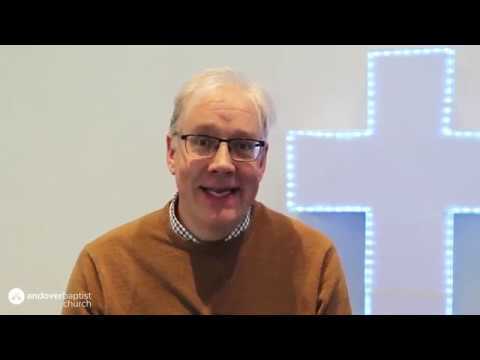 Initially the plan is to have a part time employee who will run the day to day work of the network and facilitate the learning across the UK churches. Question: Where will the staff time come from to invest in the network? We are proposing that if we decide to join the network that I will be our Trustee. I have scaled back some of my other commitments outside of ABC to ensure that should that happen I will not need to invest any more time outside of ABC. Other staff time will come from the time we allocate to them for training and development and we will closely monitor how much time they spend helping other churches to make sure it is in good balance. However it is a part of our vision and indeed our responsibility as a church blessed with huge resources that we should support and help other churches. Question: Where will the money we give come from? Over the first couple of years the money we give will come from the money we would save as a part of the network by receiving free access to the Orange children’s and youth materials that we currently pay for. After that there are two options for where we find the money: one is that we reduce some of what we give to some of the other external organisations we support and the second is that we grow the amount we give away as our income grows. That would form a part of the review we are planning this year on our external support. We realise that might sound a bit vague at the moment, but the network group are much keener to have us than our money so we think that there is flexibility there, but we are keen that we play our part financially if we are able to. Question: We have heard of a guy called Andy Stanley who leads North Point, what will his involvement be? Andy Stanley is the Senior Pastor of North Point and as such has led his church in the forming and living out of the principles it has felt God calling it to. But Andy will not be involved in the UK network and is not the person we have been talking to at North Point. We have been working with their international partners team. Andy Stanley has written an excellent book called Deep and Wide about the story of North Point and the principles they are pursuing. It is well worth a read. But this UK network is not dependent on Andy Stanley or really about him! Question: We have read some rather controversial stuff about Andy Stanley on the internet, is it true? Sadly you don’t have to dig very far on the internet to find someone, somewhere who is prepared to have a go at churches and at church leaders. We would always want to urge extreme caution with believing what you read on the internet and being really sure about the source before you believe that something is true. His latest book ‘Irresistible’ has caused some websites to react negatively. I had the chance to read the book on my study leave last October. In it Andy Stanley is seeking to unpack what it means for Jesus to have come as the ‘fulfillment’ of the old covenant. It paints a beautiful picture of what Jesus was doing when he came to initiate the new covenant and the challenge of living out Jesus’ command to love God and love people. I am not sure I agree with the way he puts everything, but generally it is excellent and I would highly recommend it. Some websites have claimed that in it Stanley suggests Christians don’t have to keep the Ten Commandments because it is a part of the Old Covenant, but I didn’t read that in the book. I would always suggest that we read these things for ourselves before we rush to believe what others are saying. We have met several of the senior leadership team at North Point along with their families and have found them to be humble, regular people who have huge hearts for Jesus and for serving churches that want to reach out with His love. Question: How will the success of this network be measured? The potential founding churches have worked on a comprehensive plan including finances and outcomes. The outline plan is that years 1 and 2 will be about establishing relationships among the founding churches, receiving coaching and support and visits from the UK network leader. There would also be a couple of network days during this period when other interested churches would be invited for a day of conversation and vision casting. Then in years 3 to 5 it is about other churches joining and sharing what we have been learning. The founding churches are being asked to commit to that five year period (with an understanding that sometimes things happen beyond our control which may mean a church having to pull out). Over those five years the vision is that the network would be well established. After that those churches would be free to decide whether to continue. The prayer is that by the end of that five year period in addition to the five founding churches there would be around a dozen other churches who have become a part of the network too. Question: Are we committed to it forever? No as you can see from the above answer, we are being asked to commit (as far as we are able) to a five year period. After that we will all be able to review and to use the ‘success’ criteria about to see how it has gone. All the churches will be able to make decisions then about whether we continue and to what extent we are involved. Question: Will this impact our commitment to other organisations we are linked with including the Baptist Union and Andover Churches Together (ACT)? No! We will remain in partnership with the Baptist Union and continue to try to help and support the BU wherever we can. We don’t believe it will have an impact on our work with ACT – and indeed we hope it may be that we are able to offer to use some of the resources or things we are learning with other churches locally. We hope that helps in our prayerful discernment. Please do come and speak with me or one of the Elders if you have further questions.